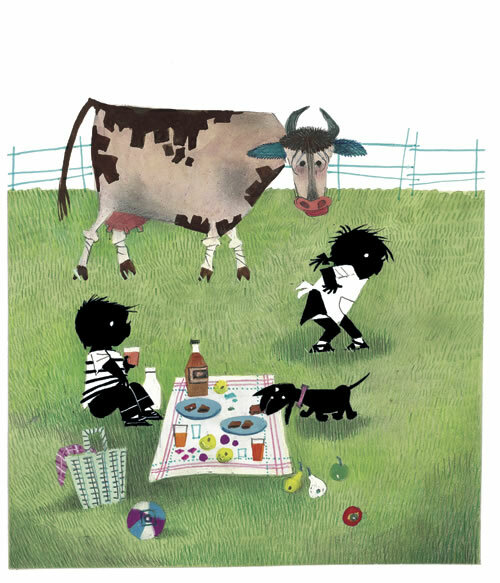 Fiep Westendorp (1916-2004) can be called the most renowned illustrator of children’s books from the Netherlands. More than three generations of Dutch children have grown up with her illustrations. With her humoristic figures and her caricatural and timeless style, she created her own, immediately recognizable Fiep world. She worked with various authors, but her co-operation with the Dutch writer Annie M.G. Schmidt, whose work recently appeared in Chinese, is legendary. 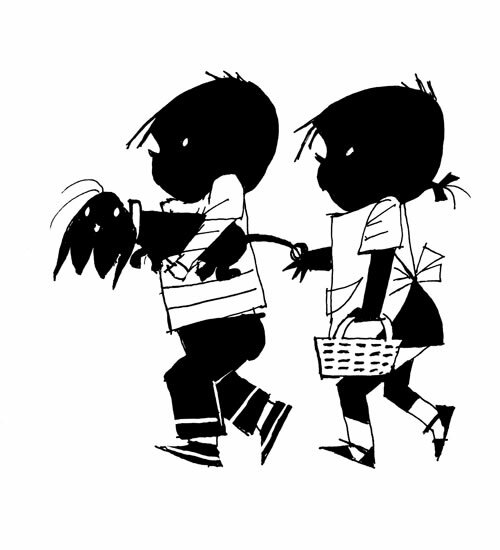 As far back and the 1950s, Fiep conceived the now world-famous black-and-white silhouettes for Schmidt’s stories of two mischievous children, Jip and Janneke. Other characters from Schmidt’s work were also given typical Fiep features. With powerful brushstrokes and an eye for detail, she made the figures amusing and tender at the same time. At the end of her sixty-year (!) career, Fiep Westendorp received the Oeuvre Penseel, the highest possible Dutch award for an illustrator of children’s books. Copyright: Fiep Amsterdam bv, Fiep Westendorp Illustrations.